One of President Obama's final moves in office was to designate the Bears Ears National Monument in southern Utah even as state politicians cried foul. With less environmentally minded President Trump in office, Utah's Republican leadership sees an opportunity to take some drastic measures, including rescinding the national monument status from Bears Ears. On Friday, Governor Gary Herbert signed a resolution passed by the state senate urging Trump to undo the 1.3 million acre monument. Lawmakers hope the president could act on their resolution as early as this week. Meanwhile, actions have consequences, and outdoor clothing company Patagonia said on Tuesday that the retailer won't attend a major outdoor trade show in Utah in response to the resolution. 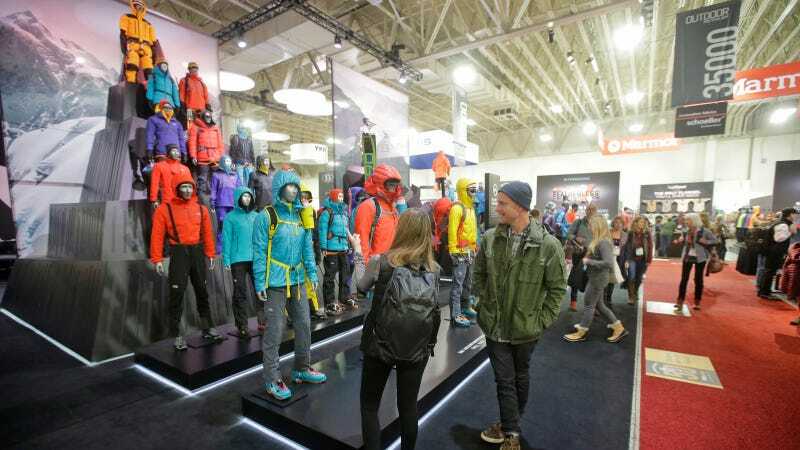 The twice-yearly Outdoor Retailer show has been held in Utah since 1996 and brings the state $45 million in annual direct spending, according to USA Today. In announcing the withdrawal, Rose Marcario, president and CEO of Patagonia, said that by signing the resolution, Gov. Hubert and other Utah elected officials made it clear that they "do not support public lands conservation nor do they value the economic benefits—$12 billion in consumer spending and 122,000 jobs—that the outdoor recreation industry brings to their state." "…We are confident other outdoor manufacturers and retailers will join us in moving our investment to a state that values our industry and promotes public lands conservation," she said. Patagonia founder and CEO, Yvon Chouinar, is an outspoken environmental activist. In January, he penned an op-ed, The Outdoor Industry Loves Utah; Does Utah Love the Outdoor Industry? In which he stated that Gov. Herbert "should stop his efforts to transfer public lands to the state, which would spell disaster for Utah’s economy." What Gov. Herbert and others at the national level like Rep. Rob Bishop (R-UT), chairman of the House Committee on Natural Resources, want to do—overturn a large national monument—is unprecedented. As NPR reported, only a handful of smaller monuments have ever been shutdown or transferred to state management. There is even doubt that it's possible legally under the terms of the Antiquities Act, which grants presidents the power to establish national monuments. During his Senate confirmation hearing, Ryan Zinke, the president's nominee for interior secretary, said the Antiquities Act doesn't authorize a president to rescind a monument. He also said he thought the public has benefited overall from a lot of national monuments. Native American tribes in the Bears Ears area, who fought hard for the monument designation, have already threatened lawsuits over any rescinding measures. With the recent decision to move forward with the Dakota Access pipeline on top of this effort, Native tribes are struggling for ways to confront an administration that appears to put a much lower value on their input and history than the Obama administration did.